Punnett's Square: Did Humans Domesticate Cats? Dated back to ancient times, cat’s DNA showed that they domesticated themselves stated in an article on National Geographic website. Although cats now prefer to lay on the couch instead of outside their DNA shows that it hasn’t changed in thousands of years. Cats, even as wildcats, has been by a human’s side way before they became our house pets. A cat’s genes have only changed slightly in the past 9,000 years. This change appeared to be the dots and stripes on their coat of hair. 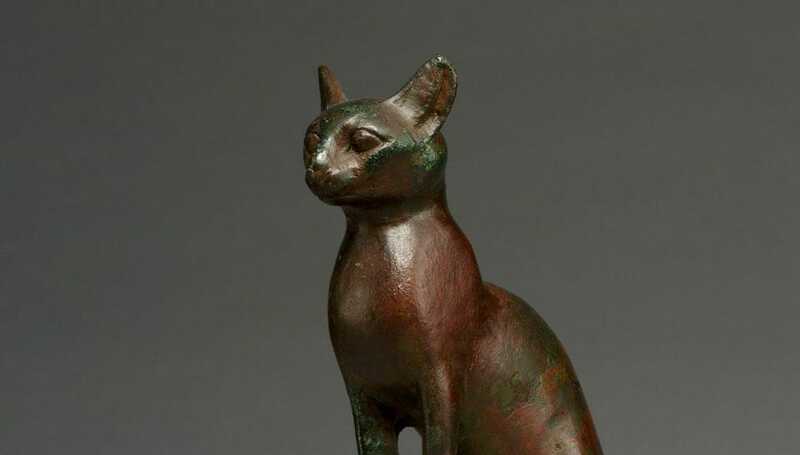 In this article, it states that researchers looked at DNA of over two hundred cats within the past 9,000 years and it showed that all the cats came from these two pedigrees; from Asia into Europe and Africa into Egypt. Both pedigrees showed that cats were not forced into being house pets, but just settled into it. Cats naturally patrolled around human's yards and killed mice and rats. They also were just attracted to humans, especially in the African lineage. Even though cats surprisingly attached to humans, the researchers still looked into the DNA of cats and it revealed that the DNA has not changed but the marking of its coat. When the coat of the cat was stripped, it showed that they were domesticated. This was not a definite identification of domesticated tabby cats until the 18th- 19th century. The researchers suggested that the more we look into cats, the more we will understand the domestication process of animals. Being that cats naturally domesticated themselves, I do think further research into this animal could open up new doors or an explanation of how animals became domesticated.